The Enugu Zonal office of the EFCC has arrested three persons: Chukwuma Charles Eze, Ogechi Emeka Okwuosa and Anokwuru Miriam Iheoma,(F) in a case of impersonation and attempt to obtain money by false pretences from the Anambra State Secretary to the Peoples Democratic Party (PDP), Hon. Prince Casmir I. Ajulu. 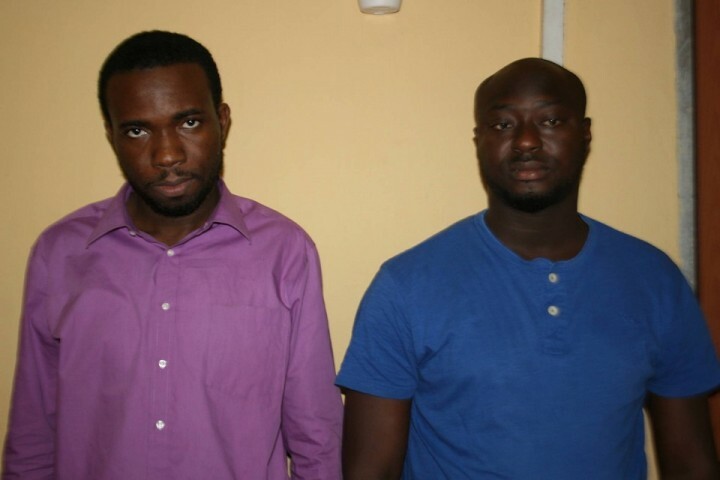 This was stated in a press statement issued by the Commission’s Spokesman, Wilson Ujuwaren who said that arrest of the trio came on the heels of a petition that a text message was purportedly sent on 26th March, 2016 by the Acting Executive Chairman of EFCC, Ibrahim Magu to Ajulu’s phone requesting him to send a list of names of House of Representatives designates that want their Certificate of Return for the last election held in Anambra State. Several subsequent messages from two mobile numbers belonging to Glo and MTN network respectively demanded from the petitioner the sum of N16,0000,000.00 (Sixteen Million Naira Only) assuring him that the EFCC Chairman was in touch and working with the Chairman of Independent National Electoral Commission (INEC). The suspects on sensing the reluctance of the complainant in cooperating with them started sending some text messages and calls threatening to deal with him if he failed to pay the said amount. But in a statement made by Iheoma who claimed to be Eze’s girlfriend, Eze collected her account details and that she was not privy to whatever business it was meant to be used for. On his own part, Eze said he collected the account detail because his friend Ogechi Emeka Okwuosa had asked him to find a UBA account with which he (Okwuosa) needed to use to receive money from someone. Further investigation is being carried out to determine the spread of the alleged syndicate’s activities and their possible victims.